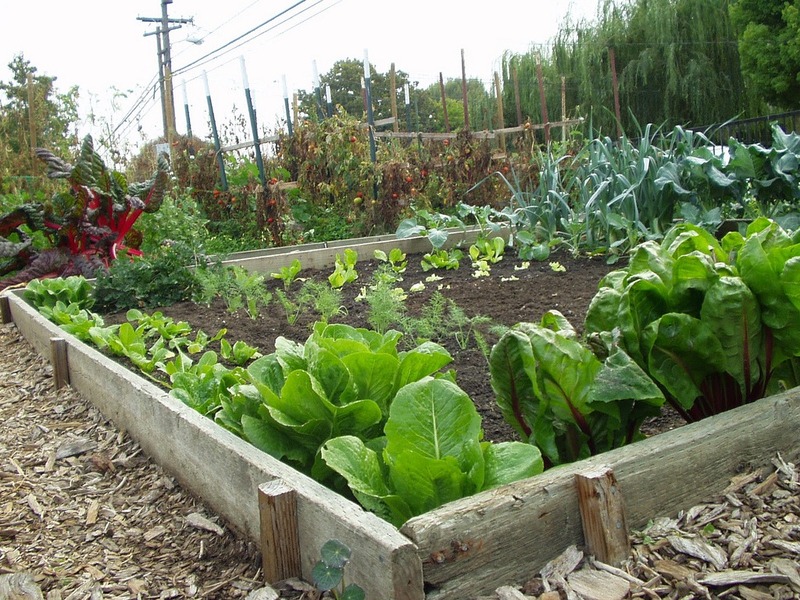 Home > Knowledge Center > Should I Grow Vegetables and Fruit in a Drought? There’s no getting around the fact that vegetables need a lot of water to thrive and this has gardeners across the state of California wondering if growing their own is a responsible thing to do. After all, vegetables don’t go dormant like grass does. Without water, the plants simply can’t produce which defeats the purpose of having them to begin with. However, provided that you can responsibly irrigate and care for your vegetable garden, experts suggest that it is actually beneficial to plant a one. Sustainable vegetable gardens can use significantly less water than it would take a commercial gardener to yield the same amount of vegetables, while also saving the environment carbon emissions from transporting the vegetables to your point of purchase. With this in mind, here is how to minimize your vegetable garden’s water consumption. Rather than planting seeds in rows directly across from each other in a straight line pattern, plant in an offset pattern. Offset is often how bricks are laid and is also called a subway pattern, where rows are staggered. Less water will go unused in the soil because this method allows for denser planting of seeds. And, weeds will be less able to compete for growing space and water using this method. Focus on plants with abundant yields. One tomato plant, depending on the variety, can usually sustain a family through a season and it won’t need much water after it sets fruit. Beans require quite a bit of water, relatively speaking, but you’ll need to weigh this against how much produce the plant will give you. When in a drought, it’s tough to grow plants where size might be important. Large fruits and vegetables require more water, typically, though there are some varieties of melon that can handle low water conditions. Miniature varieties of peppers tend to survive on less than their larger counterparts so are better choices when water is scarce. 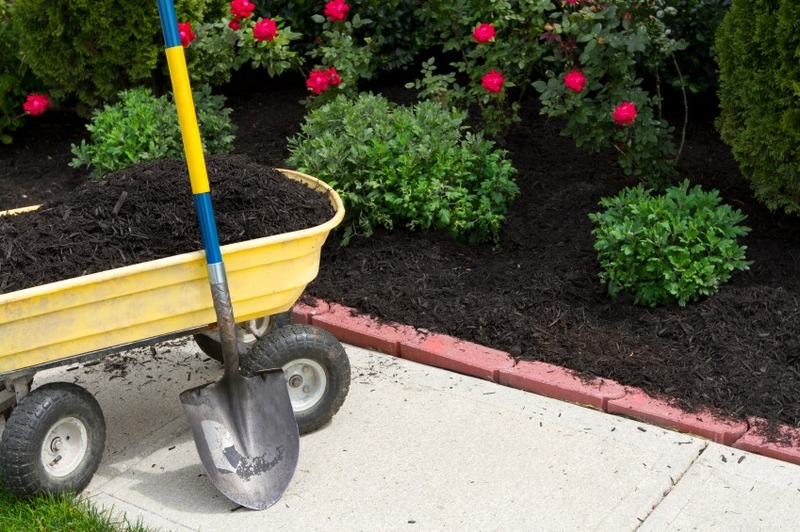 Applying a thick layer of organic mulch to prevent evaporation can cut water needs by up to 50%. Shoot for about 3-4 inches of coverage and remember that mulch can be anything from dried leaves to grass clippings to straw (not hay and nothing that has been treated with pesticides). San Diego residents can also purchase bulk recycled mulch at the Miramar Greenery. If you planted produce last year, think about how much of it went to waste, if any, and make adjustments. While it’s easy to toss in an entire pack of seeds, the plants will eventually require water and you may wind up with too many. If too many sprout, some gardeners may go as far as to pull excess plants. Not to mention, if the entire family hates eggplant, there’s no reason to plant it because it looks pretty. Plant only what you like, or better yet, what you love. Try to time plantings to take advantage of natural rainfall that normally occurs in the late winter and early spring. While this strategy may backfire—rainfall this spring in Southern California has so far been dismal—at least the odds of rainfall to support summer crops are higher the earlier you can plant them. Planting in the spring will also give plants time to establish roots before the hotter and drier days of summer arrive. Take advantage of fall and winter rainfall by planting more during this time of year. Shorter, cooler days allow rainwater to keep soil moist for longer. Options might include chards and leafy greens which are already drought-tolerant choices. Also don’t forget that there are some summer crops that will yield produce in the fall. 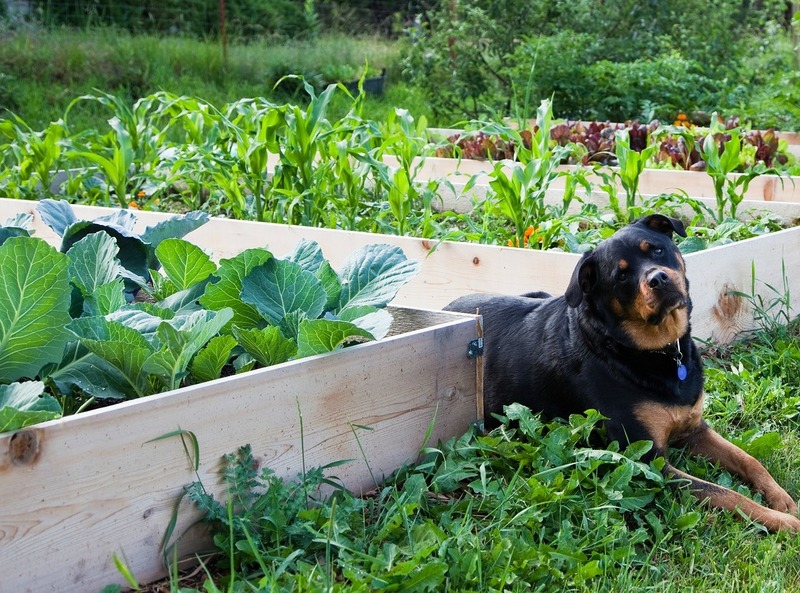 These are designated areas where your produce garden will grow year-round. This idea enables you to focus efforts on certain spaces so that you don’t waste compost water and other resources on unplanted areas. Raised garden beds may come to mind, however, some tend to dry out faster and retain less water than planting directly into amended ground soil. However, it may vary on location, sunlight and how the raised garden is built. We have one with plastic sides that was purchased through a garden supply store. It doesn’t dry out quickly and tends to keep pet and pedestrian traffic away. This can help reduce the amount of water used on certain plants. Water is particularly necessary during flowering and fruiting only of melons, peppers and eggplant, but most gardeners tend to water unnecessarily throughout the plants’ lifespans. Tomatoes won’t need much water at all after they set fruit. Adding nutrient rich compost is key to maintaining a drought-tolerant fruit and vegetable garden. Amending soil improves its structure (especially if it’s clay soil) while also allowing water to absorb more efficiently, better air flow and plants to grow with more resistance to disease and pests. Do some research to determine plants with similar watering requirements that you can group together. For example, during dry spells plants like cauliflower, celery and cabbage will need frequent watering during dry spells. 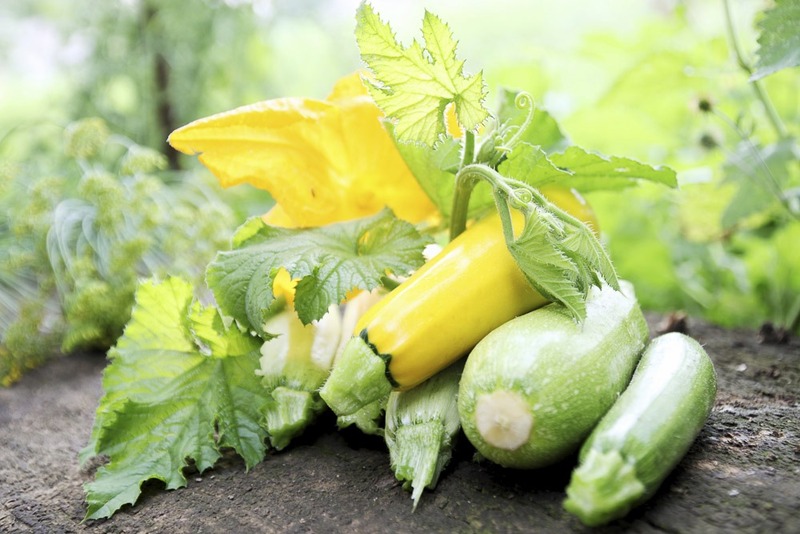 Cucumbers, zucchini and squash also have like water needs. Assuming that you’re using drip irrigation, you can easily adjust microspray heads to emit more or less water in small planting areas. The most drought tolerant vegetable for Southern California gardens is okra. Other popular choices include chick peas, peppers, terpary beans, lima beans, zucchini (Dark star variety), cow peas, and amaranth. Curly and other kales seem to grow particularly well on little water in San Diego. If you are trying to decide between several varieties. Choose the one with the smallest leaves. Small leaves evaporate less water than big leaves do. Also, if farmers are forced to abandon crops, the price of produce is likely to rise. Having your own source might become even more cost effective in the future. What kind of produce are growing now in your garden?